Candidates can apply for the SJVN Apprentice Recruitment 2018 through the official site of Satluj Jal Vidyut Nigam Limited. The organization had released the notification of Satluj Jal Vidyut Nigam Limited Advertisement 2018 to fill up the 50 Apprentice Vacancies. Moreover, contenders can get more stuff about the sjvn.nic.in Apprentice Jobs 2018 from this article. The application forms should be submitted on or before 30th September 2018. We request applicants to grab the essential data of सतलुज जल विद्युत निगम लिमिटेड Openings 2018 such as eligibility criteria, selection process, salary, application fee, and steps to apply. At the end of this page, applicants can find the appropriate link to download the SJVN Apprentice Recruitment 2018 notification. Well, all the contenders who are eagerly searching for the SJVN Apprentice Recruitment 2018 details in various websites on the internet, they can focus on this article. Moreover, candidates can apply for the SJVN Apprentice Recruitment 2018 only from the official site of the Satluj Jal Vidyut Nigam Limited. Furthermore, the higher authorities of the Satluj Jal Vidyut Nigam Limited have not announced the exam date. So, all the postulants have to wait for the update. Here we will update all the latest information and aspirants can grab the data about the SJVN Apprentice Recruitment 2018. Follow the below procedure to apply in the correct way for the SJVN Apprentice Recruitment 2018. Candidates must have to check out the educational qualification before going to apply for the SJVN Apprentice Recruitment 2018. Full-time Degree in Engineering /Technology in the relevant branch, from Institute/ University, recognized by AICTE. Full-time Diploma in Engineering/ Technology in the appropriate branch, from Institute/ University, recognized by AICTE/ Board of Technical Education of State. ITI Passed from any recognized University/ Institute. Candidates who wish to apply for the SJVN Apprentice Recruitment 2018, they must have to check out the selection procedure. The higher authorities of the Satluj Jal Vidyut Nigam Limited will conduct the Personal Interview to hire the capable candidates for the available openings. Those who qualify the written test they will be part of the organization. All the candidates who got selected in the SJVN Apprentice Recruitment 2018, they will get the pay scale of as per the norms of the organization. Moreover, the officials of the Satluj Jal Vidyut Nigam Limited will also give the hire to the aspirants based on their performance. Initially, visit the official website of Satluj Jal Vidyut Nigam Limited (SJVN) that is sjvn.nic.in. Search for the SJVN Apprentice Recruitment 2018 link. In that download the notification. 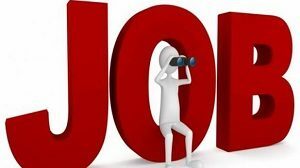 After downloading the SJVN Apprentice Recruitment 2018 notification, read the complete details. If you are willing, then apply for the SJVN Apprentice Recruitment 2018. Fill the details like name, gender, date of birth, father’s name, mother’s name, etc. Take two or more printouts of SJVN Apprentice Recruitment 2018 application form for further reference. We hope all the candidates have utilized the given information about the SJVN Apprentice Recruitment 2018. For any other information like syllabus, results, admit cards, previous papers, and latest recruitment notification, candidates can visit our Sarkari Recruitment website regularly. Thank You.